Blood pressure, eyes, spine, balance – phew! Today we are continuing our series about the balance system and how it is should work normally. In the last post I discussed the vestibular nuclei and how they are controlled by the cerebellum in the base of the brain. You’ll remember (if not go back and have a quick read), that the cerebellum should control the vestibular nuclei and stop them getting overactive. Remember that, it’s important. Introducing – the Vestibular Nuclei! This is the next in our series about the balance system and how it should work normally. So far we have talked about the inner ear and how it senses movement, and then we talked about the nerve that runs from the ear to the brain. Today we are going to talk about the brain stem (the base of the brain), and the first step of where the signals go when they enter the brain. We are continuing on in our series of posts on the normal ear and balance system. Last time I talked about the Balance Parts of the Normal Inner Ear. This time I’ll briefly talk about the nerve connecting the ear and the brain. In my last post I talked about why a brain rehabilitation programme is necessary for anyone who sufferers vertigo or dizziness. However before we go into that idea much further, a brief series of discussions on the anatomy of the balance system might be a good idea. 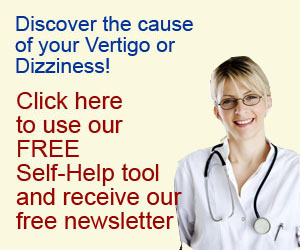 If fact it is really vital that vertigo and dizziness sufferers understand what is happening in their bodies, because a thorough understanding of the problem can help remove much of the fear and anxiety that these problems can produce.